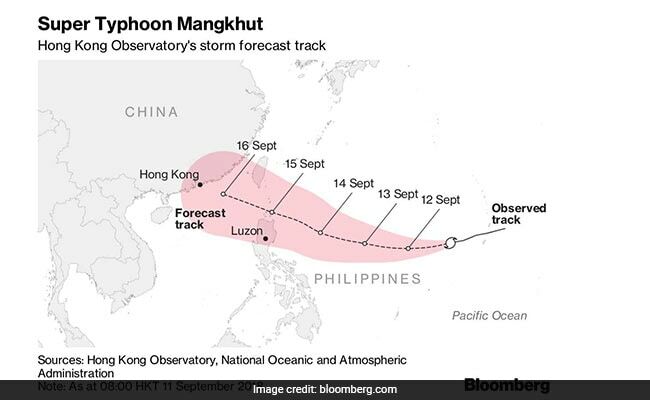 Mangkhut, named after a fruit in Thailand, is forecast to enter Wednesday just as another storm leaves. Mangkhut is classified as a super typhoon by the Hong Kong Observatory. A super typhoon is intensifying in the Pacific and is forecast to barrel through the Philippines and Taiwan this week before heading to Hong Kong and south China. 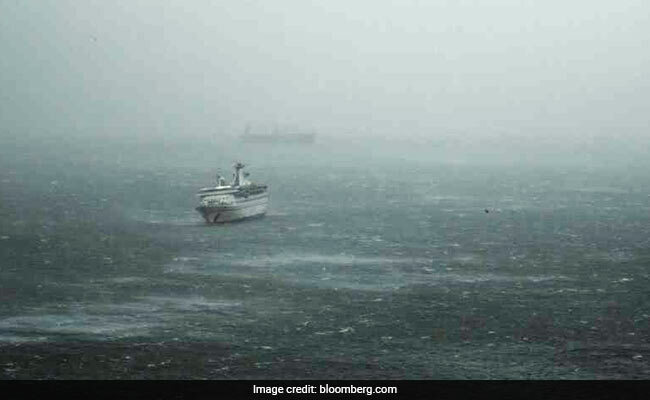 Mangkhut, classified by the Hong Kong Observatory as a super typhoon, is forecast to pack maximum winds of 230 kilometers (143 miles) per hour by Friday before gradually weakening. The typhoon, expected to be closer to south China by the weekend, will bring heavy rains and storm surges on its trail. About 20 cyclones pass through the Philippines each year. Mangkhut, named after a fruit in Thailand, is forecast to enter Wednesday just as another storm leaves. In 2003, Super Typhoon Haiyan killed more than 6,300 people in the Southeast Asian country. The strongest typhoon to hit the Philippines this year is threatening the farmlands in Northern Luzon just before the rice and corn harvest. The staple grain is the second-biggest item in the Philippine consumer basket, and record prices boosted inflation to 6.4 percent in August, the fastest pace since 2009. Mangkhut has intensified, according to the local weather bureau. The storm may damage as many as 156,793 metric tons of rough rice and 257,100 metric tons of corn in the Philippines worth as much as 13.5 billion pesos ($250 million), Agriculture Secretary Emmanuel Pinol wrote on his Facebook account Tuesday. Surging prices are adding to risks to the Philippine economy and the central bank has pledged strong action to restrain inflation. President Rodrigo Duterte ordered more rice imports as prices climbed to a record, vowing to use the military and police to raid warehouses if there's a scheme to artificially prop up prices. Mangkhut, to be named Ompong once it enters the Philippines, has intensified, according to the local weather bureau. The U.S. military's Joint Typhoon Warning Center forecasts top winds of 135 knots (155 miles per hour) with maximum gusts of 165 knots in the next three days. It's expected to be 135 nautical miles (250 kilometers) off Kaohsiung in southern Taiwan on Sept. 15 before heading to Hong Kong, according to the U.S. agency.